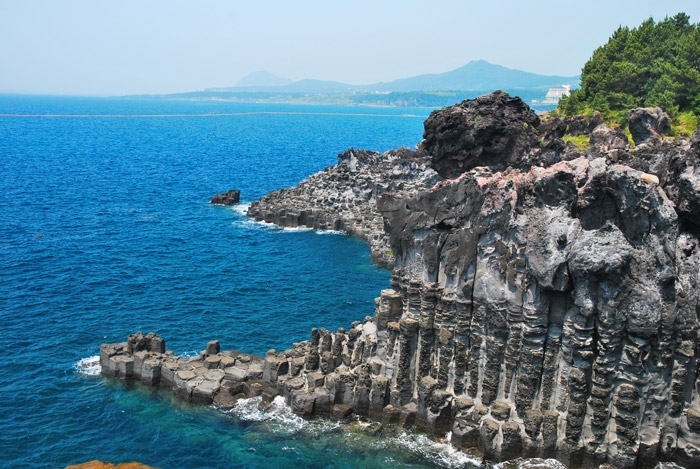 Even though peak season and Non peak season are distingquished compeletely in the past, but these days as for Jeju Island, there is no particular season , Tour spots in Jeju Island has been famous lately. Nowdays trend has been changed. Backpacker trip has been increased lately. That’s why people can be sensitive with budjet for the trip. Actually there are various budjets for the tour in Jaeju Island. If you pay for all the fee just like on the board for each of tour spot, it could be stressful. So as I know, people usually enjoy their trip by using some discount coupons. So Now, I make this post for the people just like them. 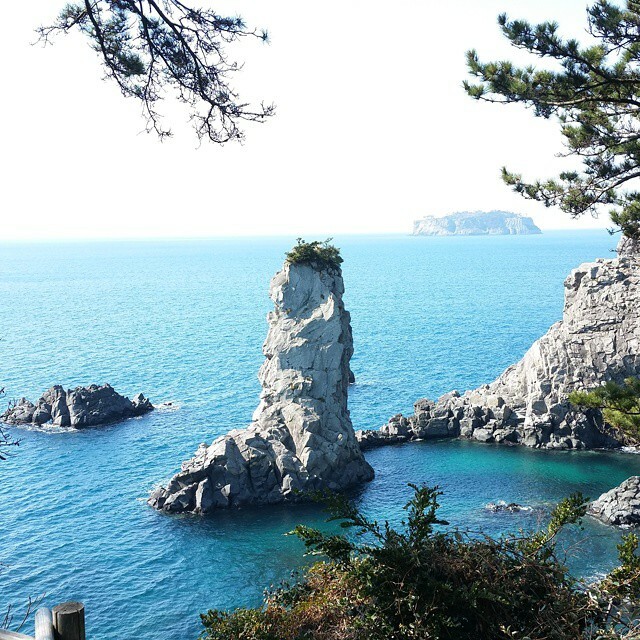 These are quite cheap tour spots in Jaeju Island. Actuall I was going to offer only 100% Free tour spots. But I thought it’s better to include tour spots that people should pay for the entrance fee under 3,000won. After I looked it up, I was bit surprised that there is still more tour spots than these tour spots on this post. But I’m not mentioning about Tracking course like Mountain Hanla. Blue points : Reasonable price tour spots. I recommend that you take a look at this map of Jaeju Island first before check details. Green points are 100% Free tour spots and Blue points are tour spots that you should pay at least under 3,000won for the entrance fee. This unique rock was made of volcano and is located near east side of ocean road in Jaeju-si. Everytime Dongmun traditional markets always overflowing with spirit and delightful richness. Water is still go up when sea fish are look so fresh waiting for into his boss. Jeju is traditionally strong defense, scabbard fish, little damselfish, abalones is tied one to find people keep finding them. 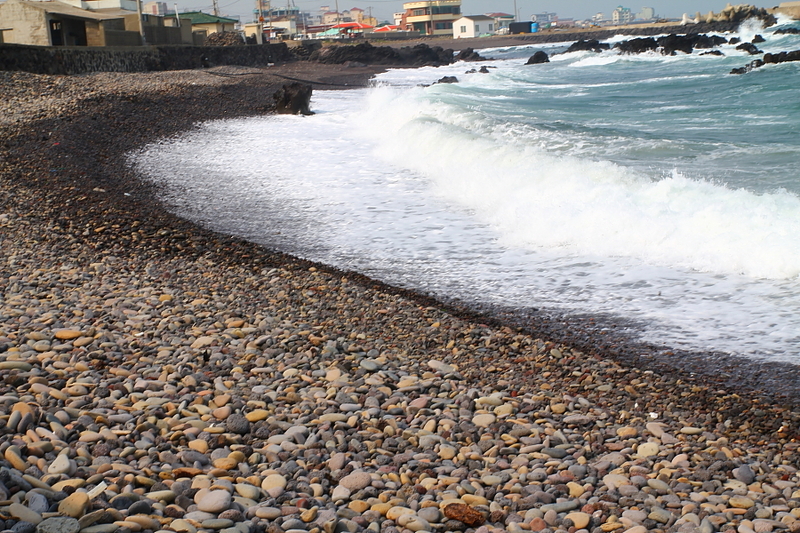 You will never forget moment your trip in Jeju. The valley in Halla mountain connected to the ocean through Han stream. The point that crush into the ocean, being made from huge pond is Yong Yeon. ‘Yong yeon’ means the place where a dragon used to play around and well known for a cliff which is fit for beautiful 5colors water and a dense forest. This spot is famous for a place where virtuous men enjoy taste for the arts and Yong Yeon night festival is always held every year.. This is a spot where you can feel real unique folk artifacts and natural material of only JeJu Island. The only museum that opened for displaying folk natural history of Korea in 1984. 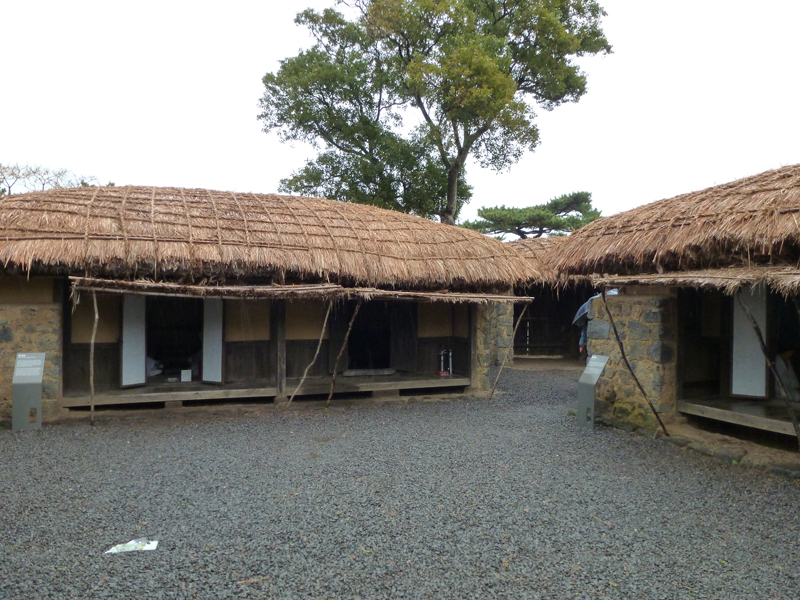 From Nation ‘Tamla’ to the Joseon Dynasty, The central of polics, administration, culture, jeju wooden house was rebuilt after going over in December, 2002. you can have a look culture of the time. 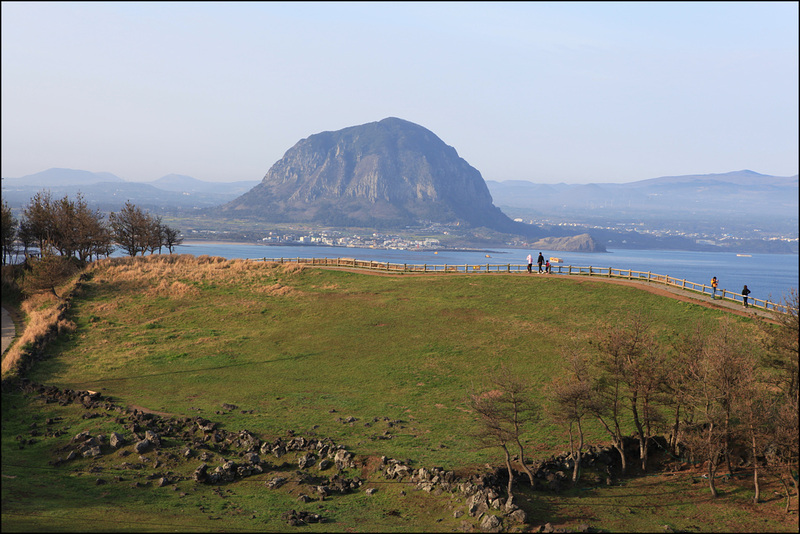 The cradle of an Jeju ancient civilization. The place where the family name Go, Yang and Boo was made. GoEulNa, YangEulNa, BooEulNa. They lived on having leather clothes on and Hunting. And then came to get married to three princesses who brought calf, foal and seed of grain from 벽랑nation. After that came to start living with farming life. The place where rebuilt the native grassland which was neglected after damaged. You can take a look from Warm temperate zone plant to high mountain plant at this place at once, and be able to enjoy chilling time and natural phenomenon of natural ecosystem. 7.A horse stable grazing land. 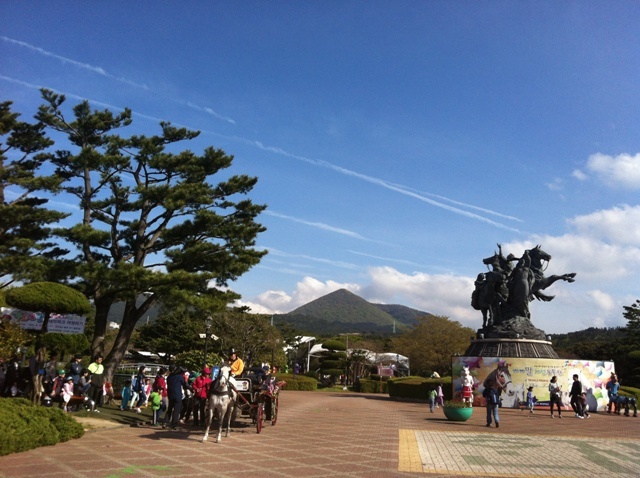 The place which is in charge of The 347th of natural monument, Jeju horse. It is always protected as a natural monument to preserve descent of Jeju horse. The only place where you can meet up with a flock of sheep. A Netherland style wind mill which has been built on the field and sheep that hang around the field and unique buildings. 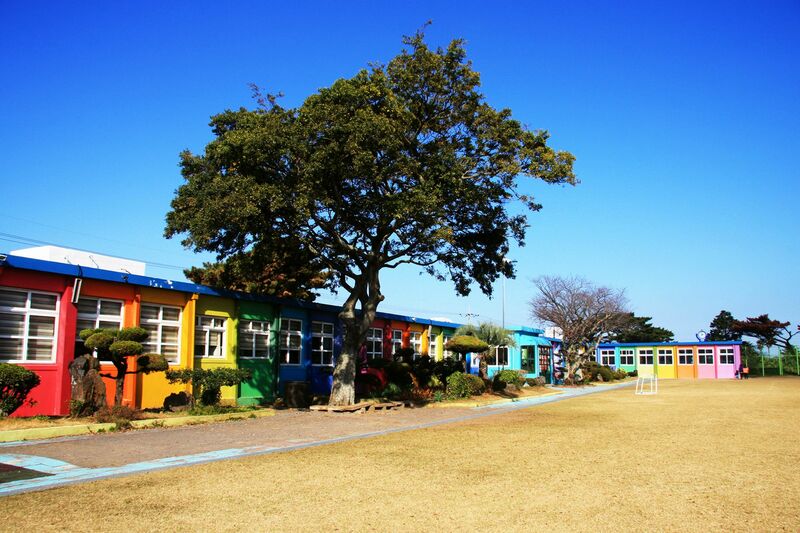 You can check out the saddest memory in Jeju , 4.3 affair at this place. may be able to feel how creepy it was at that time by having a look at this museum. A wild deer that we can see only in the Halla woods. We can see about 200 roe deers which are frolicking freely in observation center. In addition to well-made observation showrooms, etc. it is equipped with a video you can see at a glance the life of the deer. It is also home to various animals and plants to enjoy with the natural ecology learning and experience, uphill hike to a place where nature is still protected. 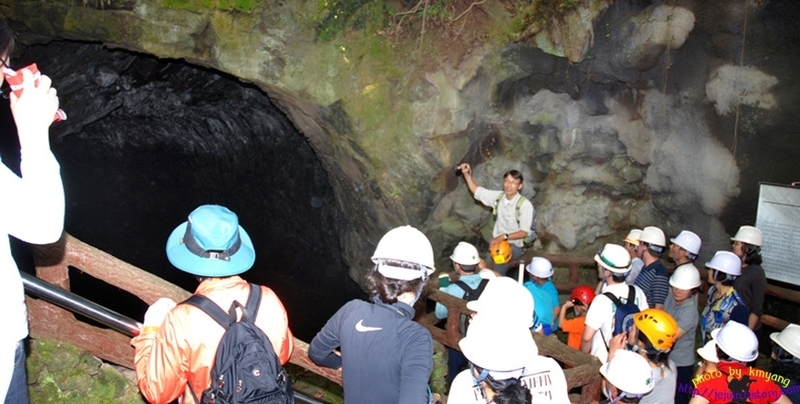 Jeju Island has been inscribed on the World Heritage in the name of ‘Jeju Volcanic Island and Lava Tubes’ for the first nation in 2007 Listed place are Halla Natural Reserve , seongsan Sunrise Peak, geomun accounted for about 10% of the total area of Jeju island with lava donggulgye uphill. 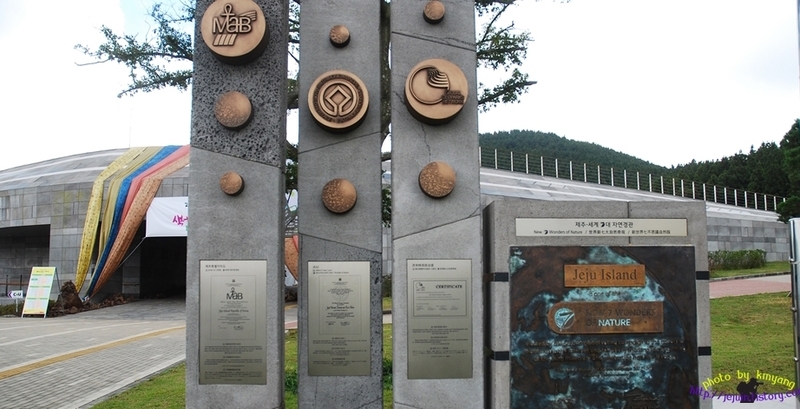 It can be seen at a glance how the administration was made if you visit Jeju World Natural Heritage Centre Jeju World Natural Heritage Status and conservation. The jeolmul Natural Recreation Forest is a place where accounts for 90% of the lift dense forests of cedar more than 40 years in the area of ​​300ha. Full of flavor Phytoncide from the cedar that is pumped to feel cool even on a hot summer atmosphere . Forest Within the forest house , forest culture hyuyanggwan , yaksuteo , pond , lawn , seminar room , barefoot shiatsu trails in effect ‘re equipped with trails and various well decorated facilities Jangsaeng ​​of pure dirt roads to spend lovely tmie with family or couples together. . 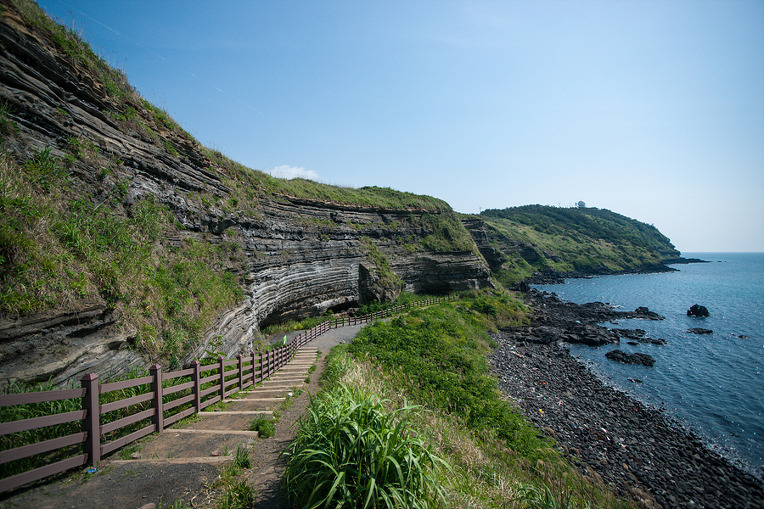 The most popular tracking trails in Jeju . From bonggaedong that begins bijarimro started to climb the trails leading to Saryeoni located in Seogwipo namwoneup hannamri . The total length is about 15km, the air is the cleanest that has spread to the elevation 550m. Both trails along the oak , hornbeam trees, ttaejuk trees, dogwood , cypress , cedar , etc. The various species that grow lush natural forests are spread widely . The total length is about 7.4km, the main passage is the width 18m, the height is 23m. also a large cave in the world . Because of the interior and the terrain that is well-preserved lava caves are rare, scholarly , conservative values ​​is very large lava caves. It is protected as a UNESCO World Natural Heritage Site . 500-800 -year old received two non- wood trees that are more than 2800 first -looking samrimyokjang a very unique forest that covers the island in the sky of a single species forests are forests which boasts the world’s largest . Physically or mentally loved to attractions that can have a rest. Jeju women divers are important enough to be mentioned as a UNESCO cultural heritage types . It is also a symbol of Jeju women divers are responsible for the protagonists of Jeju economy. The museum divers can see a rough life and history of Jeju women divers . Approximately 5.000 years ago it was created by volcanoes exploded in Jeju Island beach is just Seongsan sunrise peaks. Sunrise Peak was formed at the time of the land and detached island . Sunrise Peak is easily carved but now it is connected to the mainland on the waves. Udo Lighthouse Park is a theme park located in woodo peak . To promote maritime culture through watching the lighthouse , it was built in December 2003. There is an outdoor exhibition models , such as the world famous lighthouse Pharos lighthouse , one of the seven wonders of the world are on display. The background appeared in the movie ” The Legend of Gingko . seopji cozy became famous in 2003 TV drama “All In” Shooting Place is holding stylish lighthouse is situated on landscapes that along the beaches. SeongEup folk village was designated the fifth island arcs specify folklore , the 현청 government office , there are many folklore with a view to highlight the contemporary life with traditional thatch of Jeju . 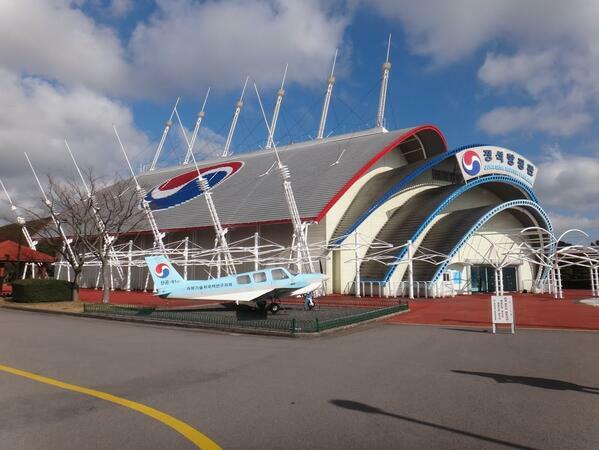 Jungseok Aviation Pavilion is home from Korea Airline. You can see operating in Korean Air KAL’s flagship model, 300 real cockpit and advanced information search feature to air crew uniform the flag (270 seats,). Cathode-Ray Tube Monitors at 360 degrees in first ground, laser beams designed to detected the vision of ‘Korean Air Lines’ and beautiful landscape you can see too. Have fun, easy to understand the culture of Jeju horse and make wonderful experience. Jeju Horse is the best horse in Jeoson Dynasty to riding. So this place is where Jeju Horse breeding and best horse born. You can try to riding the horse here. It is not so well know that there are also zoological gardens where visitors can see various kinds of horses, such one of the biggest horses in the world, the Clydesdale, and the smallest, the Shetland Pony. 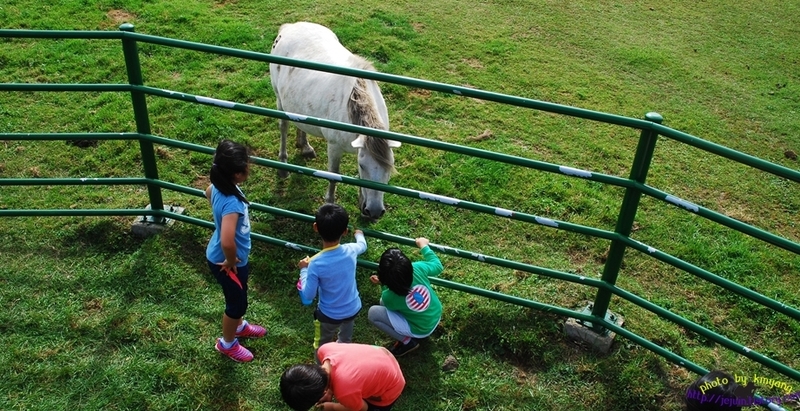 The Jeju horse is also in the grounds and horseriding is available for children. Kim Young Gap Gallery is a former elementary school turned gallery. KIm Young Gap is photographer who documented the island’s landscape. You can see many of photo Kim Young Gap was taken by him self. Honinji is home from agriculture and farming started on Jeju Island. There is a pond here called Honinji Pond (pond of marriage) where, according to the legend, the wedding ceremony was held and three caves which served as bridal rooms. 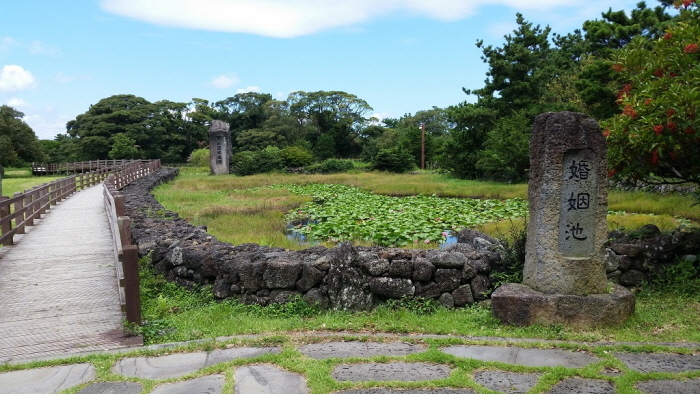 Honinji is a great place for tracing the origin of the founders of Jeju Island. In the summer, the area is in full bloom with red lotus flowers. 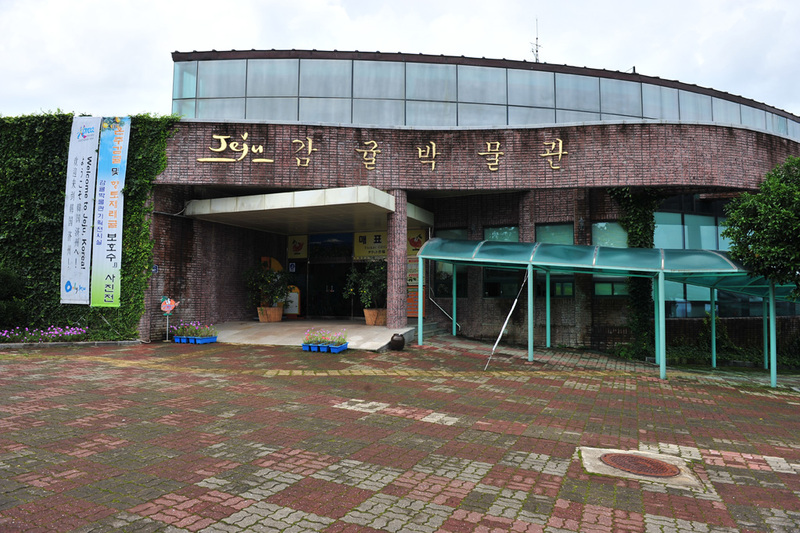 Citrus Museum is a place that exhibited significant in terms of history and culture of Jeju citrus industry creates regional significance. The museum has four season. The Citrus Museum has been open since 2005 under the stewardship of our provincial government thus making it quite cheap to visit and find out all about Jeju’s deliciously famous tangerines. The yellow citrus, the profound sweet taste and smell sensitivity is always clean space. Ecological experience of the healing journey. Seobok museum is home to exhibits such as ‘Dreams of eternal youth and immortality’,Seoboks journey’ as well as a bronze chariot and areplica of the Terracotta Warriors of Emperor Qin Shi, the Seogwipo History Room includes information on the history ofSeogwipo, cultural relics, and tourism and cultural promotion items. 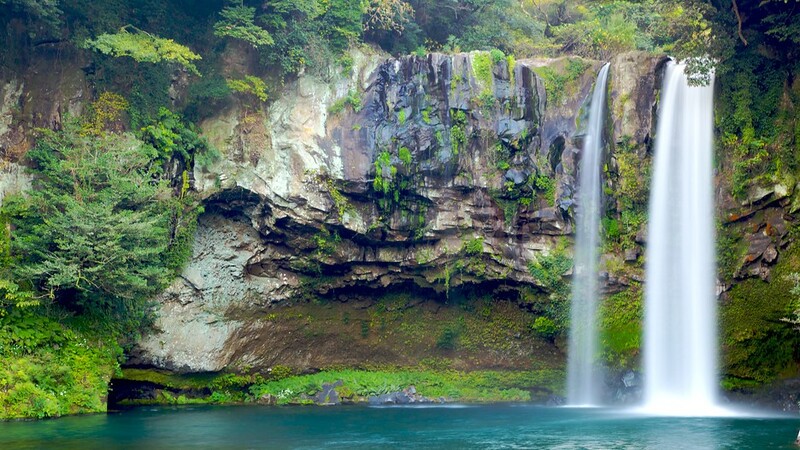 Jeongbang Waterfall is a famous waterfall on Jeju. 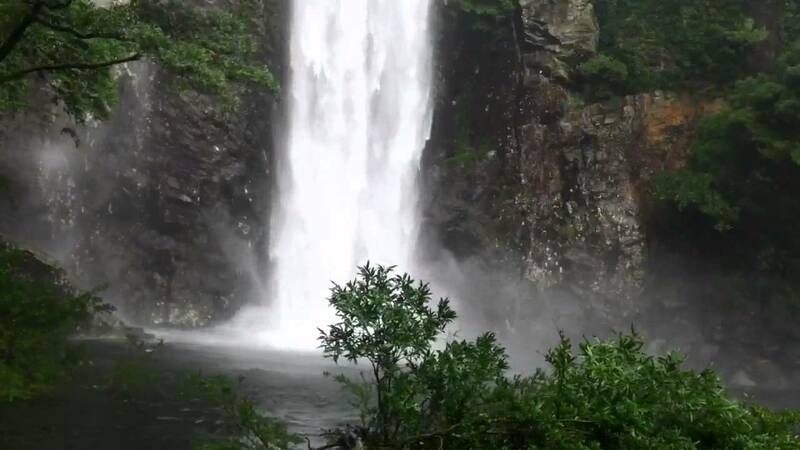 The waterfall is high and is very close to the ocean. 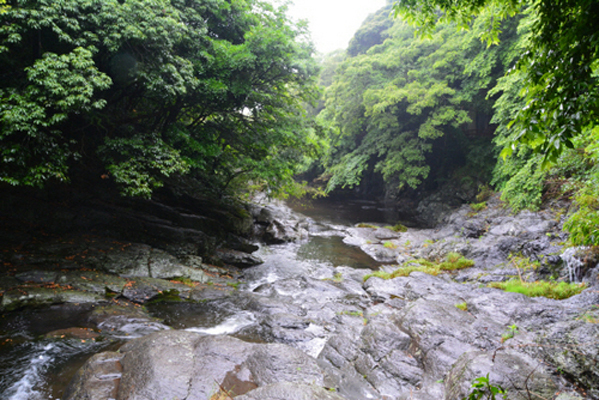 The source of the waterfall is the stream Donghong-chun. According to some sources, Jeongbang Waterfall is the only waterfall in Asia that falls directly in the ocean. 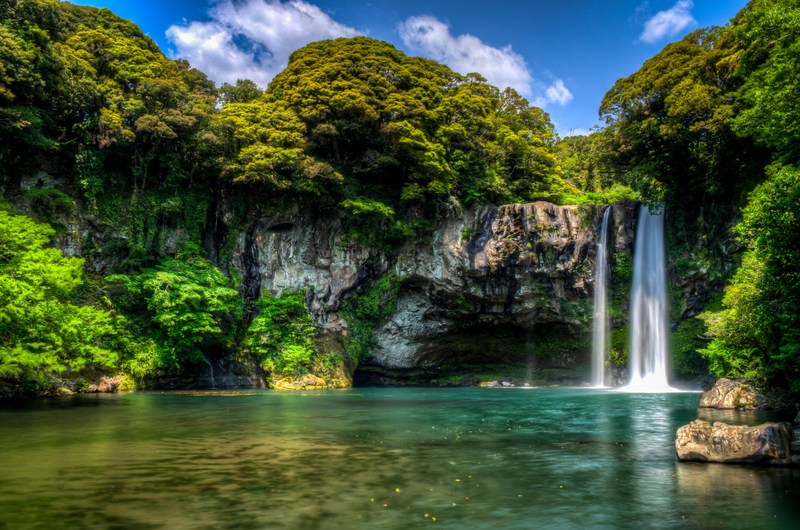 However, this may be disputed, So this waterfall in one of the ten greatest scenic wonders of Jeju. Lee Jung Seob is genius artistic. His works of oxen and family are very famous for their artistic and historical value. Lee’s art pieces are highly valued because they represent the spirit of Koreans and were created during the nation’s turbulent history, from Japan’s colonial rule of Korea and liberation to the tragic Korean War. The paintings also epitomize the artist’s strong yearnings for his family and his passionate artistic spirit. 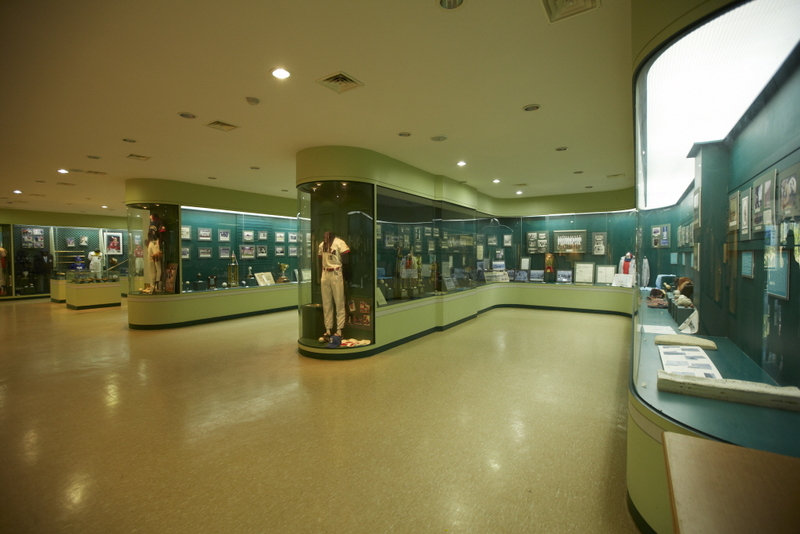 On April of 1995, former LG Twins manager and current manager of Seoul National University’s baseball club, Lee Kwang-hwan (이광환), used a small structure on the northern coast of Jeju island and spent his own pocket money to squeeze in an enormous collection of baseball memorabilia. 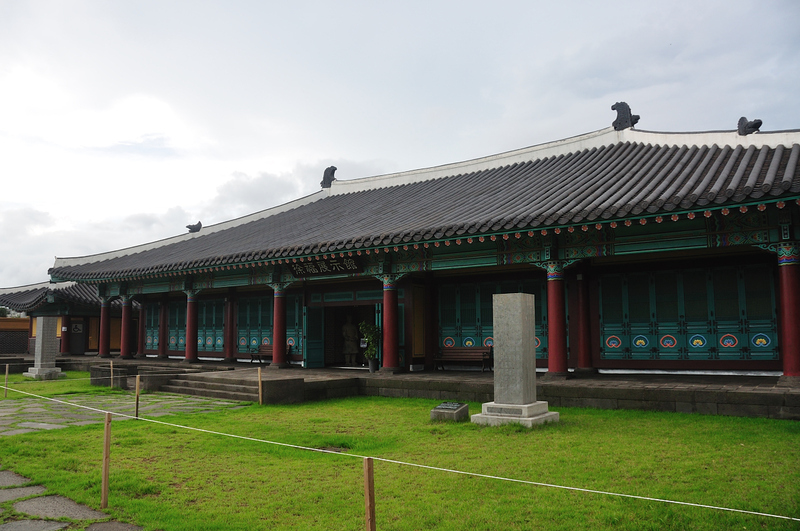 It was simply known as the “Ball House” This was years before people started hoarding museums in Jeju. 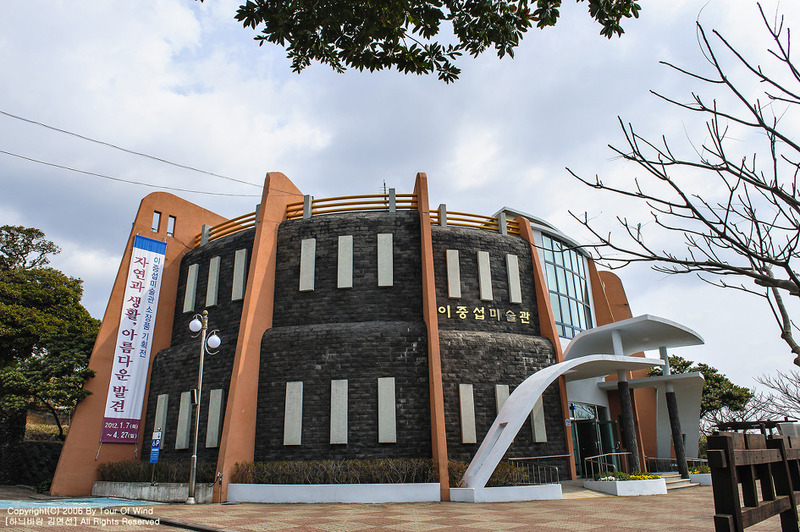 The museum is located next to the Kang Chang Hak Stadium in Seogwipo. A taxi ride from the World Cup Stadium is about three kilometres and should cost no more than a few thousand won. The strange rock formations and cliffs and harmony a unique attraction around. The natural warm temperate forestin the valley of the waterfall is formed over a wide area andexhibits combining the unique beauty of the landscape ofevergreen all year. To reach the waterfall, visitors pass through Wolsan Village in Gangjeong-dong, Seogwipo-si, and follow an upward path for 500m, following Akgeuncheon Stream or walking along the mandarin field for 800m to the northwest at the front road of Gang Chang-hak Park. 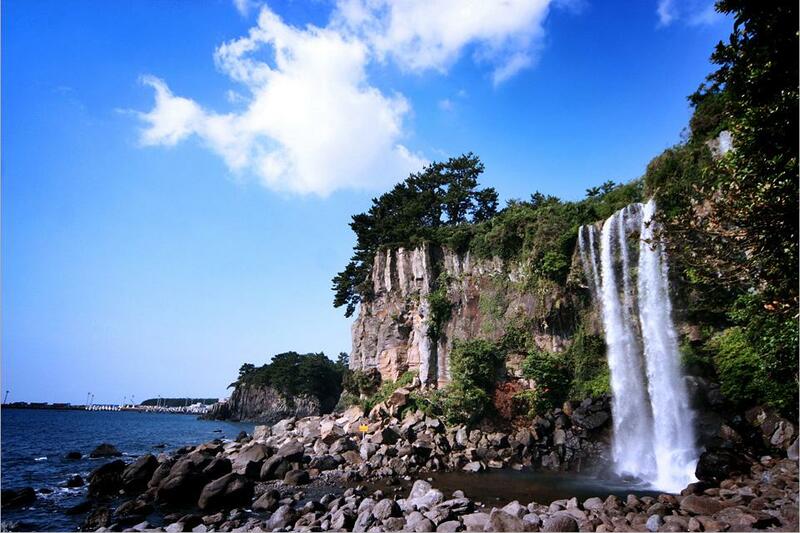 Eongtto Falls is one of the 70 scenic views of Jeju-do Island. 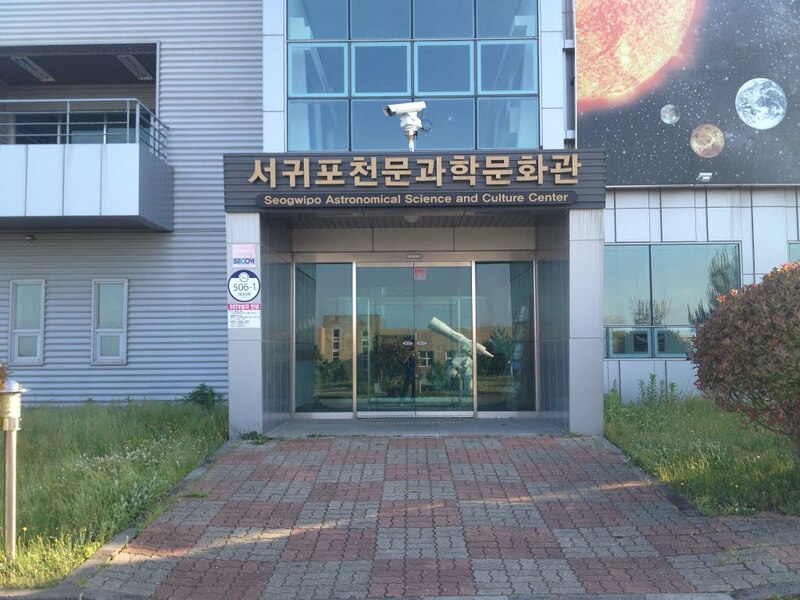 Seogwipo Astronomical Science and Culture is the best place to observe the astronomical space and celestial bodies in the sky and exhibits related to a celestial body which can observe the sunTelescope, and holds virtualnight sky, expressions that can screen the digital video, along with a planetarium projection room with. Height30 – 40m,the largest Jusangjeolli here about 1km in width was gonna split occurred when the lava to cool and shrink, hexagonal, rectangular, and pentagonal, including a variety of shapes. In the observatory is installed, you can enjoy a nice angle in a super harmony with the sea. * Free admission for children (below 6 years old), seniors (ages 65 and above) and people with disabilities (including 1 companion for level 1-3). Reduce the elements of the natural recreational forest plantations as possible in the country’s southernmost where you can enjoy a pleasant bathing resortand taking advantage of features of the island mountains and forestint act. 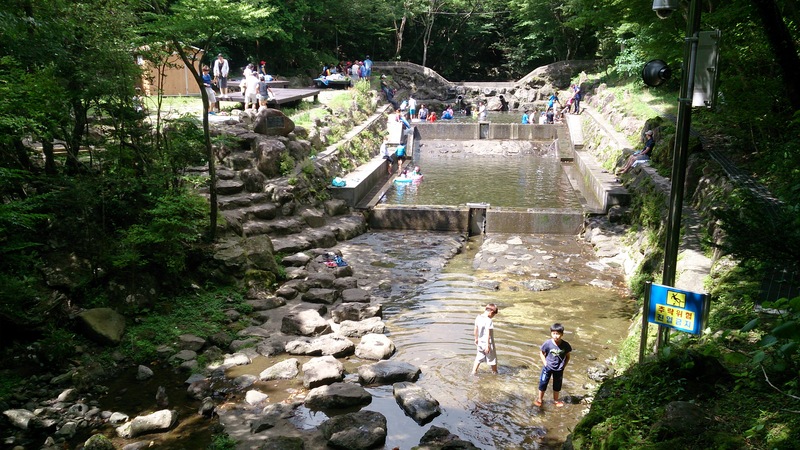 Seogwipo Recreational Forest located in the elevation 700m, you can enjoy bathing and walking,camping here is where the charmin other seasons. * Group: 10 or more People. Andeok into the canyon valley is made by cutting the rise of Kunsan, from Buksamyeon standing near the slopes, the river always flows. On both sides of the valley is covered subtropical trees and old tree. Andeok Valley in Gansan-ri Village is located within 2km east of Hwasun-ri. The tall trees of Evergreen Forest (designated as Natural Monument No. 377), cover the surrounding area of the valley. The road from the entrance to the waterfall offers a picturesque scenery. The view at night, when the place is lit up with lights, is nothing short of spectacular. The spots also famous as a TV and film Location. YongMeoRi Coast is layers and layers of volcanic ash accumulating over ages. It is a volcanic edifice created by magma spewed from the core and reacting explosively with water, ejecting volcanic ash. It may look ordinary, but as you follow the narrow way toward the sea, you will discover the magnificent layers of sandstone rock. long the road down to the seashore, there is the Hamel Castaway Memorial, in remembrance of Hamel who drifted to this place in 1653. Just off to the right of the beach is a soft and dark sandy beach. You can meet the women sea-divers of Jeju who sell sea cucumbers and stroll on the road that spreads along the seashore. Yongmeori to see the coast, then are’ll come here is look at translate the west to visit along with brothers coastal Songaksan, coming in landscape view from here can be called notch masterpiece close as Sanbangsan, as far as Mount Halla and Kunsan, over the sea gapado and come to the eyes of even beomseomSeogwipo on the southern tip Mara. Written up on the observation deck of the promenade evokes the illusion that wiae rat floating in the sea. “Songaksan ‘is the name of a named Having pine trees. 99, also known as rods and around in Sanbangsan, Yongmeori, whether in terms of quality terrain with parasitic volcanoes, such as dansan is also a very important place that says hyeongseongsa of the island. 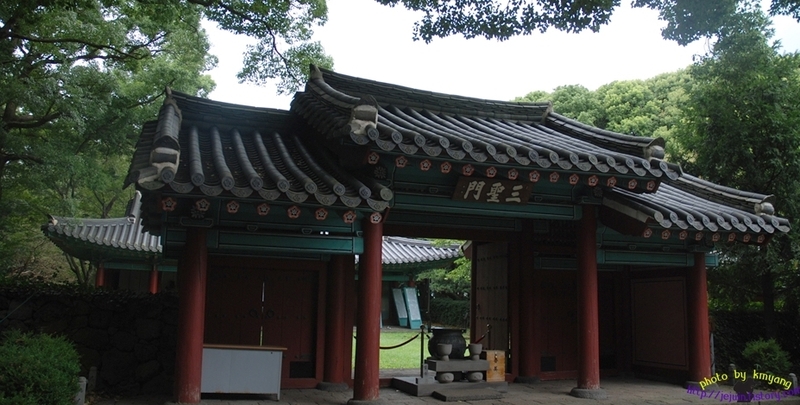 Calligrapher would want to go the old house of Chusa Kim Jeonghee and the exil site in which he lived in exile in Jeju. Chusa Kim Jeonghee completed Chusa penmanship while he lived in exile and give influence on Jeju society. This place It takes 50 minutes by bus for Moseulpo from the Jeju Bus Terminal. 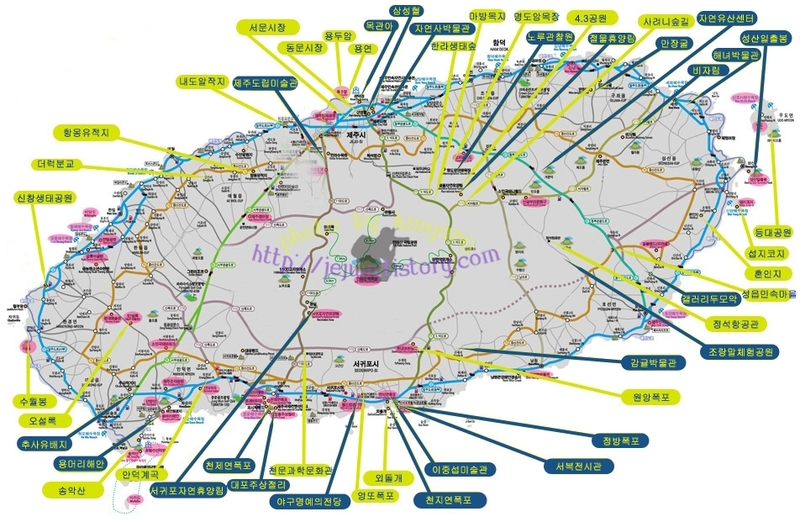 It takes 40 minutes by direct bus or via the West Industrial Road from Seoguipo. O’sulloc car museum is operated by Amore Pacific. The traditional tea culture inherited, suggesting spread and made in the spirit can experience the history and culture of a car. “O’sulloc ‘is the name’ Origin of sulloc ‘, that is, that contains the home where this is the will of Sulloc. In addition to the museum you can make a nice memories from the surrounding tea fields. 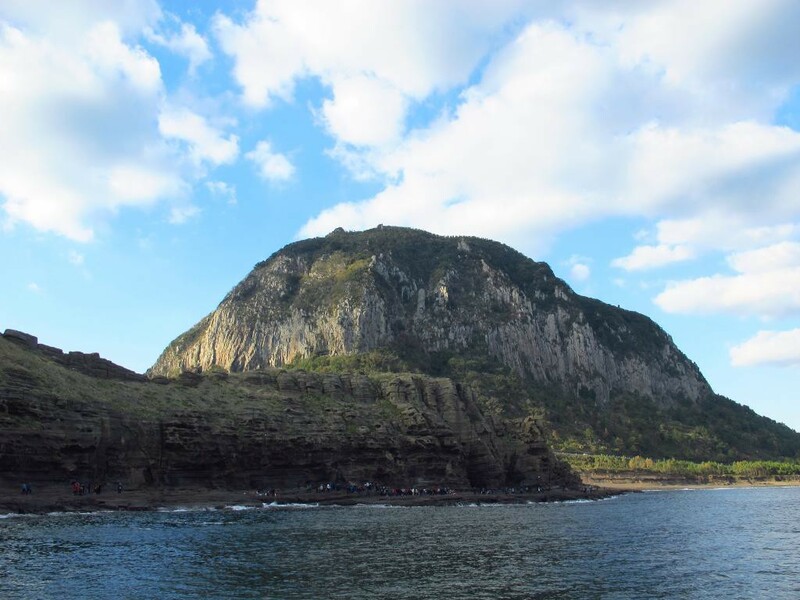 Visitor can see beautivul view in Jeju from Suwolbong. It has recently gained a lot of popularity as a geological trail. This view of affectionate tears to where the legend of the melt containing feathers is a very exceptional place. Suwolbong rises 77m above sea level and the ocean-facing natural formation is surrounded by steches of green fields. On a clear day, the sunset from Suwolbong is comparable in beauty to the one from Sarabong. Hangyeongmyeon Jeju City Ecological Park in the composition of the sea off the coast Changri. 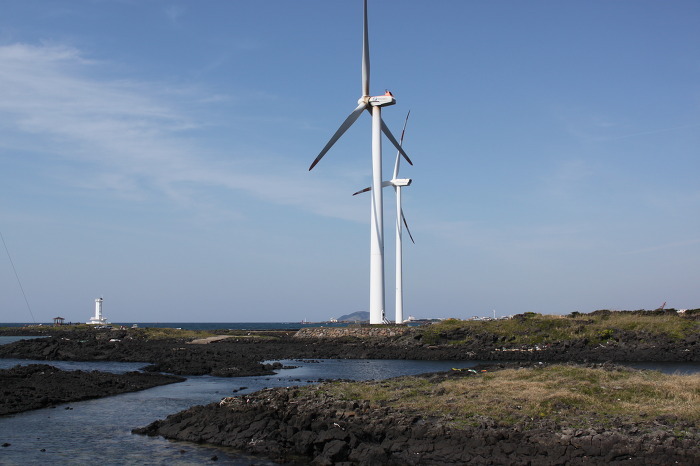 It is a trip to the west of Jeju Looking back.We can see that vigorously several wind generators, and there is the light receptor ecological park. Unique leg stretched out over the sea and the lighthouse, including exotic places often had emerged background of the drama, it can hold a very wonderful memories. Bungyojang in a small mountain village is considering its own large-scale pieces. 2012 There is a progression from Samsung Electronics’ HD Super AMOLED Color Project “campaign is from then. Then Deception was flat with the school wore a beautiful variegated colors reborn as the school receives the attention from people. If anyone is bound to immerse yourself in the exotic pleasure in writing, giving a vivid keolreogam this place. The softening nails and also a popular place nearby. Note: Visitors are permitted at the following times and may stay until sunset. > Weekdays after 6 p.m. – Saturdays after 1 p.m. – Sundays after 9 a.m.
Sambyeolcho was a military unit of the Goryeo Dynasty. When the Goryeo Dynasty made peace with the Mongolian forces in February, the Sambyeolcho special defense unit opposed it and launched a resistance movement. They continued to fight against the Mongolian forces for two more years there. However, all the members were killed in April 1273. The historical site Sambyeolcho military unit of the Goryeo Dynasty resisted the invasion of Mongolia until the last possible moment. The site houses an exhibition hall, a monument, and a unique mud fortress.In 1977, the government restore part of the fortress and build a monument. The island beach is only made from stone. It is where the sound sounds like a symphony, which is a seaside village of atmosphere and ocean scenery rustic flavor blends and waves that occur finished writing the gravel. 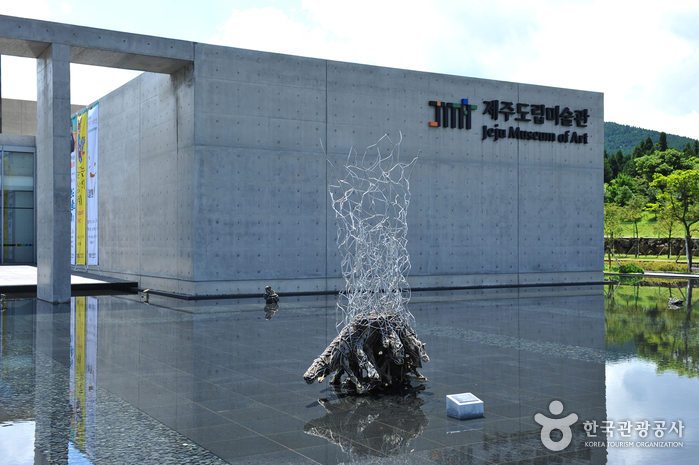 Jeju is place that can meet various works of art and culture. 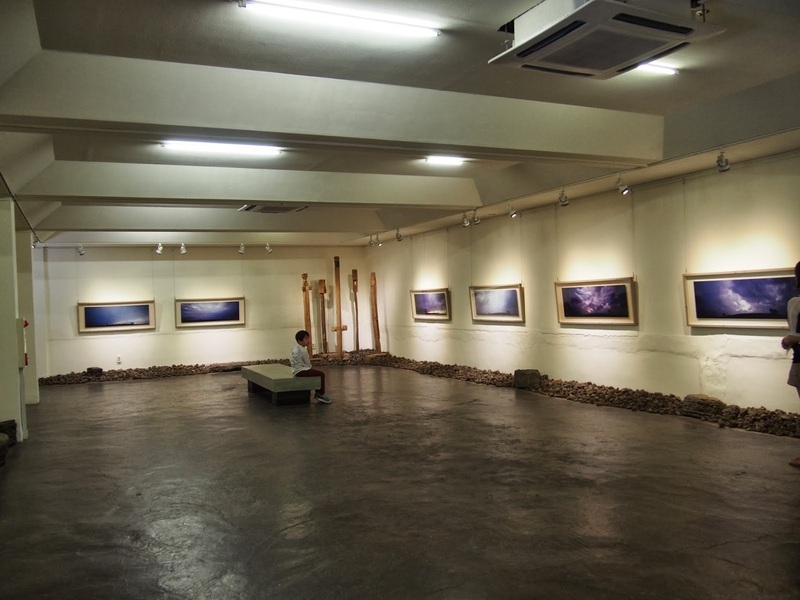 Colorful exhibition of works of the year the disciplesinto the space of Jeju to be held from time to time. 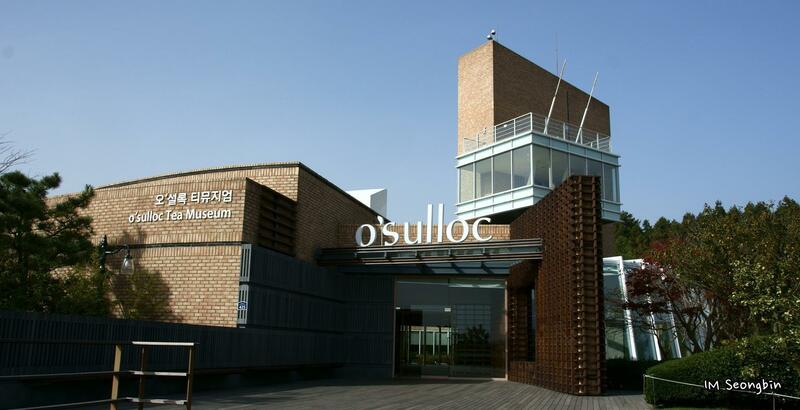 Museum building, Eliminating artificial colors,make you can feel Jeju’s unique nature. 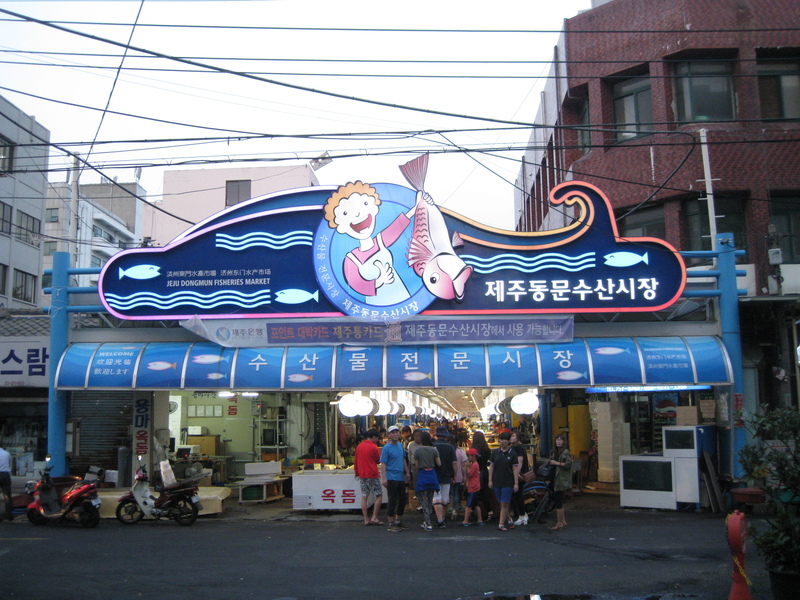 Established in 1954 Seomun Market was originally on the site of Yongdam Gas Station. People who want to get a taste of the island’s traditional flea markets should visit here. 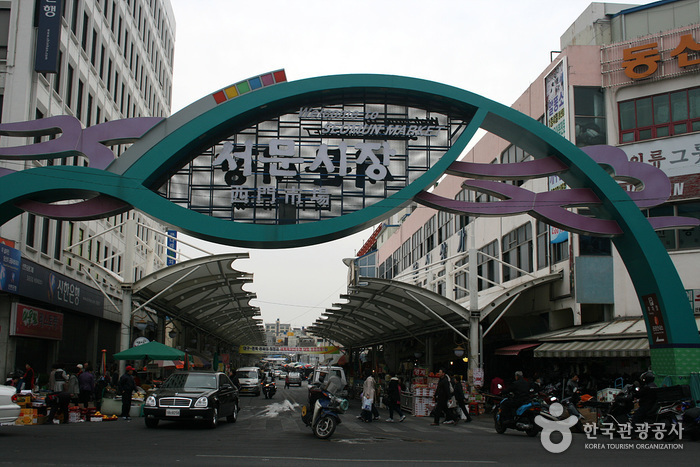 You can enjoy Jeju’s celebrated fresh and juicy black pork and beef at low prices. Around the market there are various restaurants and furniture stores. Directions: 15 minutes away from the Jeju International Airport. Get off at the Seomun Market bus stop. 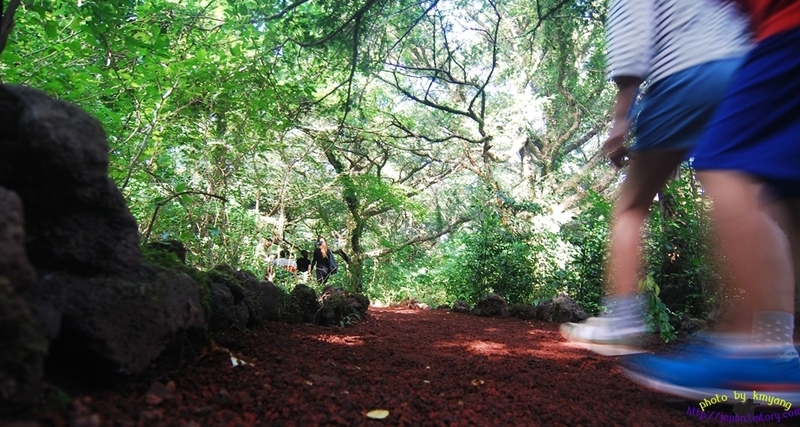 This entry was posted in FOOD, Spot and tagged Folklore & natural museum, Halla ecology forest, Jeju island, Yong Yeon.